we have big amount ready to export. As a leading independent native timber company, all of our endeavours are directed towards producing and providing an extensive range of high quality New Zealand native timber and high quality native timber furniture. New Zealand Forests Ltd is the largest developer of Swamp Kauri prehistoric Ancient Kauri that has been buried in peat swamps in the north. 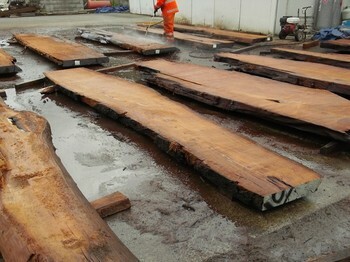 All of our valuable, certified Swamp Kauri timbers or logs can be traced back to legal sources, preserving New Zealand priceless natural heritage.We have pioneered the technique of using this oldest workable wood and durable epoxy resin to create attractive, durable, timeless and impressive Swamp Kauri art pieces and fine furniture. Each piece is unique and will beautify your home, office and villa. It was completed over a process of years, which includes extraction, cleaning, drying and workmanship. New Zealand Forests Ltd your timber expert, is active in the native timber and native timber furniture business chain from native timber supply including different treatments, furniture design and furniture marketing. We are committed to supply both traders and retailers with the finest quality timber solutions.